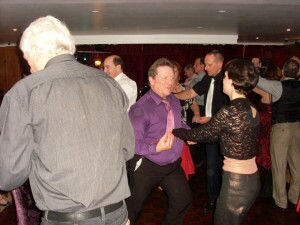 The Isle of Wight Salsa Christmas Dinner held at the Wight Montrene Hotel on 21 December 2012 was a fantastic night. Best time I’ve had in ages! Food was excellent, venue was excellent, tunes were excellent. I danced til my feet were sore! Was a fabulous evening with great food, fantastic company and salsa galore! Great evening. Great dancing. Great company. Thank you so much. Thanks to everyone who turned up to make the evening such a great success, and to the staff and management of the hotel.